On Aidan’s laptop, he has a page about Q-tips and velocity from Autodesk open. Nina has the Science Buddies website up, and Aditya is on PhET, an interactive STEM education website based at the University of Colorado. A few students have YouTube open as well, but it’s not to watch the latest music videos or social media influencer talk about fashion. 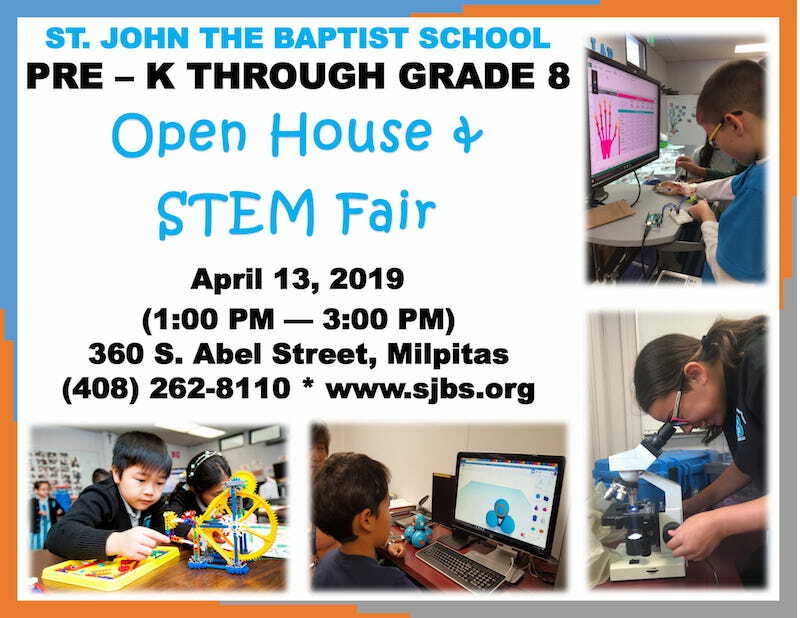 These fourth-graders at St. John the Baptist’s School are gearing up for the school’s first ever STEM Fair on Saturday, April 13, along with every schoolmate from the K-8 classrooms. The STEM Fair is open to the public from 1 p.m. to 3 p.m., in conjunction with their school’s Open House. Nina, 10.5-years old, is anxiously trying to figure out why Flippy, her dancing robot, isn’t flipping, and why its eyes are spinning, because they aren’t supposed to. “I’m straight-up worried I won’t have enough time,” shared Nina, who like her fellow fourth grade classmates is feeling a mix of excitement and nervousness as they work on completing their STEM projects in time for the fair. Parents aren’t allowed to do the student’s projects for them, and all projects must be completed at the school. “It’s nerve-wracking because there’ll be people checking it out, and what if it doesn’t work?” added Nina, who took time to stop working on her STEM project to help other classmates during one of their afternoon STEM lab classes. Nina wasn’t the only one to offer help to other students stuck with a project. While the general mood was one of nervousness and excitement, the fourth-graders collaborated with each other, offering ideas to help solve issues. “I think it’s cool for the students to work hard, and they’re having to keep trying if they’re stumped on a challenge,” said Adrienne Hardee-Elliott, the fourth grade homeroom teacher. In addition to gearing up for their first STEM Fair, the fourth-graders are learning and creating word problems using whole numbers and fractions. Seventh grader Tiffany, 12, was so excited for the STEM Fair that she started working on her project at home about preventing soil erosion a month ago, despite being reminded by her science teacher, Ariel Navotas, for months that she and all of the students had to do their project at school. Tiffany who has been at St. John’s since pre-kindergarten, is redoing her project at school, and wanted to grow radish as part of her project to see if soil erosion would happen by measuring the roots. “It’s interesting to learn about what happens in our body and environment,” said Tiffany, who also gained inspiration for her project after seeing so much rain when she spent time in China; she even goes on hikes to observe soil erosion happening. According to science teacher Navotas, she has been working with the third-, sixth-, seventh- and eighth-graders on their STEM Fair projects since last November. Students had to submit proposals for approval, and it’s been a year of learning for her and the students. “The ones who took the planning seriously were able to come up with projects they really like,” said Navotas, who is also staying after school for students who need extra time to complete their projects. For St. John’s, hosting their first ever STEM Fair is a big accomplishment and milestone. The school, which opened in Milpitas in 1987, has evolved a lot, considering they barely had a STEM lab presence just two years ago. 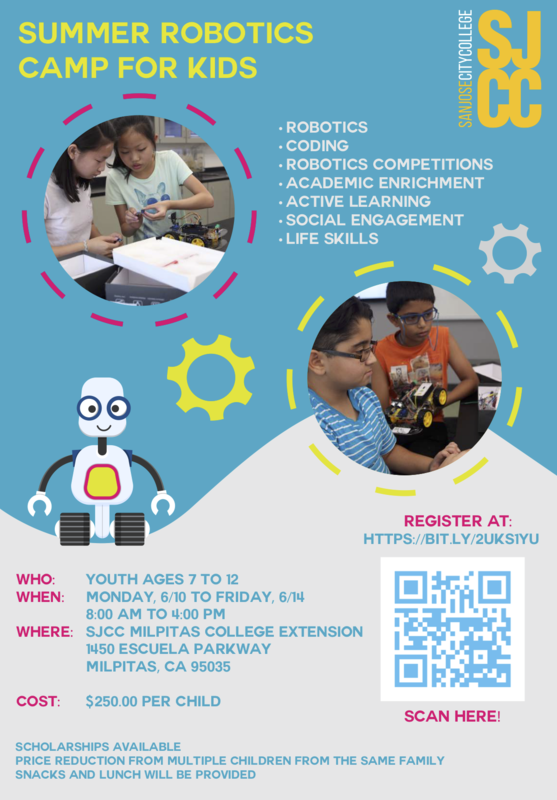 According to Arlene Ang, the school’s STEM lab coordinator and STEM Fair lead, the school is now considered a thought leader in the STEM space within the Diocese of San Jose, with other schools turning to them for guidance on how to start a STEM lab. “The room was empty, and was just collecting dust,” said Ang, who is also working with students from the lower grades to complete their STEM fair projects. Ang was tasked by Christopher Brazil, the school’s principal, with transforming an underutilized classroom into a fully functional STEM lab. Within four months, Ang, with the help of another parent and generous donors, was able to officially open the school’s STEM lab in January 2018. As for Principal Brazil, he has seen the school transform in over 25 years, and is proud of how it’s growing. The fact that the school is hosting its first STEM lab is very important to Brazil, who credits his predecessor Judith Perkowski with coming up with the idea to have a STEM lab at the school. “The STEM Fair is a sign of the growth of our program,” said Brazil, who first joined St. John’s as a teacher in 1993, and later became its second principal in 2016. Lemery Reyes is a freelance journalist from San Francisco and enjoys writing about current events. 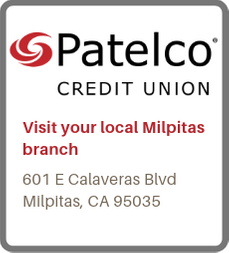 She has previously reported for the San Francisco Business Times, Silicon Valley Business Journal and Milpitas Patch. Lemery currently lives in Milpitas, volunteers as the Alumni Relations Coordinator at St. John's the Baptist School and holds a B.A. in journalism from San Francisco State University.